When it comes to estate planning people often times look for the “easy answers.” In the end, unintended consequences can result. There is really no substitute for legal guidance so that you thoroughly understand what you are getting into. With this in mind, let’s look at joint tenancy with right of survivorship in Cincinnati. The term joint tenancy with right of survivorship in Cincinnati may sound very complicated, but it boils down to something rather simple. In Cincinnati, Ohio when you add a joint tenant to the title of your property, you are adding a co-owner. Right of survivorship refers to the ability of the co-owner to assume full ownership of your portion of the property after you die. On the surface, this can sound like a simple and efficient estate planning solution. For example, let’s say that you have three children. You add your oldest son to your property deed as a joint tenant. After you die, your son inherits your home. 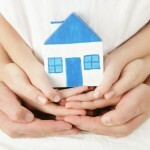 The transfer of the entirety of the property to your son would take place outside of the process of probate. The probate process can be time-consuming and expensive, so people often look for ways to avoid it. Let’s continue to look at this hypothetical example to examine the things that could go wrong if you add a joint tenant to your property. You have three children as we established. Though you added just your oldest son to the property as a joint tenant, you gave your son specific instructions. You want him to sell the property and distribute the proceeds equally among all of the children and grandchildren that you are leaving behind. From a legal standpoint, there is nothing forcing your oldest son to do anything at all with the property that he now owns. He could have his own ideas with regard to how things should proceed after your passing. In addition, what would happen if the son that you added to your property deed encountered financial difficulties? Since he now owns half of your home, his creditors could seek to attach and go after his one-half interest in the property. The same thing is true of a litigant seeking redress. If a legal judgment was to come in against your son, the property held in joint tenancy would be in play. Back taxes could be a factor, and the property would also be fair game during divorce negotiations. Thirdly, what if you wanted to sell the property and travel the world? You do not own all the property anymore. Your son would have to agree to sell the property, and he would be entitled to half of the proceeds if he agreed. Joint tenancy with right of survivorship in Cincinnati is really not a comprehensive estate planning solution. You can cover all of your bases with safer options. If you would like to explore these options, contact our firm to schedule a consultation.